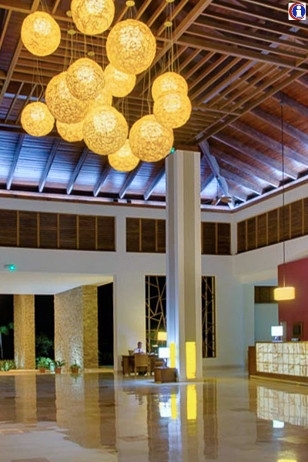 Hotel Golden Tulip Aguas Claras Resort in Cayo Santa Maroa is an impressive, modern hotel that will appeal to anyone seeking an all-inclusive holiday on a stunning beach. Golden Tulip Aguas Claras only opened in August 2013 as a Eurostars Hotel & has a relaxing feel with lots of open space, beautiful landscaping & great views of the sea. There are 2 main swimming pools which are connected & crossed by a long, narrow bridge. There are also 2 children’s pools & children’s club, with a convenient bar where parents can relax. 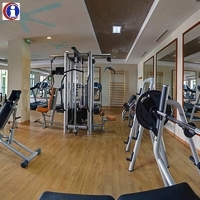 Other facilities include 2 tennis courts, a gym & watersports on the beach such as kayaks, catamarans, snorkelling & windsurfing. Golden Tulip Aguas Claras Resort’s entertainment team put on a good variety of daytime & evening entertainment which is enjoyable for guests of all ages. 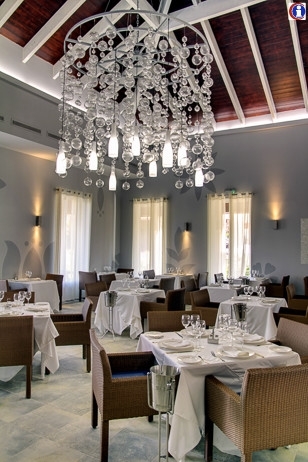 Food at Aguas Claras Resort consists of 3 a la carte restaurants (including Cuban & Mediterranean), 2 snack bars & a buffet restaurant where the food is okay but rather repetitive. 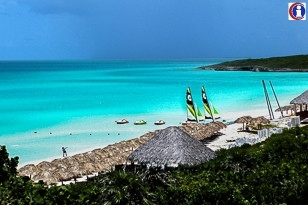 The hotel’s 7 bars include a beach bar, swim-up bar & relaxing piano bar. But by far the most memorable aspect of Aguas Claras Resort is the fabulous beach which has turquoise water, white powdery sand & no rocks so you can walk straight out to cool off, or simply cool down & relax with a drink from Las Brisas beach bar. 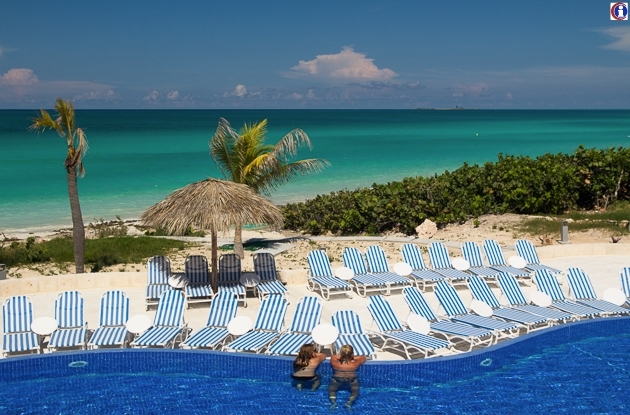 If you are looking for a relaxing holiday on an idyllic Cuban beach, you will find few better places than Golden Tulip Resort in Cayo Santa Maria resort. 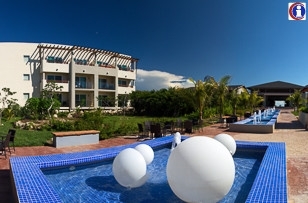 This resort owned by the state company Gaviota Sa was previously known as Hotel Gaviota Cayo Santa Maria and back in 2013 as Eurostar Cayo Santa Maria. 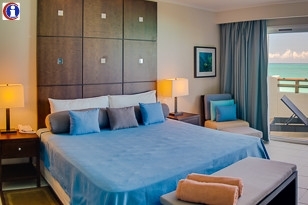 The Suites at this all-inclusive 5 stars on Cayo Santa Maria are similar to the other rooms in terms of amenities, furniture and décor and they also feature a separate living room with a sofa and dining table, bathtub with Jacuzzi and a walk-in closet. You will be guaranteed late check-out until 4.00 pm and one additional reservation for a specialised restaurant of the hotel. Junior Suites at Golden Tulip Aguas Claras Resort are very spacious and they have a balcony or terrace with view on the lush gardens. They all have modern furniture and are equipped wither with a king-size bed or 2 queen-size beds. Golden Tulip Aguas Claras Resort hotel has 324 junior suites with ocean view which are all ensuite & have kingsize or 2 queensize beds. 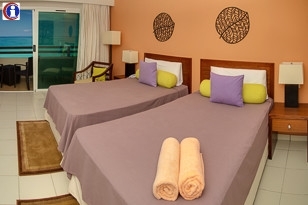 The rooms are very well appointed & spacious with modern, attractive décor. These are clean & comfortable, maintained by maids who leave decorative sculptures with towels & blankets. All rooms have air conditioning, satellite TV, safe, mini-bar (with daily bottled water, beer & soft drinks) & a balcony or terrace. Junior Suites Premium Garden View at Golden Tulip Aguas Claras Resort offer the same amenities as the Junior Suites and are located on the upper floor. Additionally, you will find a bottle of Rum upon arrival in the room, you will be guaranteed late check-out until 2.00 pm and one additional reservation for a specialised restaurant of the hotel. Мандрівники з Ремедіоса (Remedios), колоніального міста з церквою, в Санта Клара (Santa Clara), де розташований Меморіал Ернесто Че Гевара (Ernesto Che Guevara Memorial) перетнуть кристальні і спокійні води, а також зможуть поспостерігати за яструбами, пеліканами і дивовижними рожевими фламінго.